As of this evening, the good people of Vergennes have another place to tip back a drink. 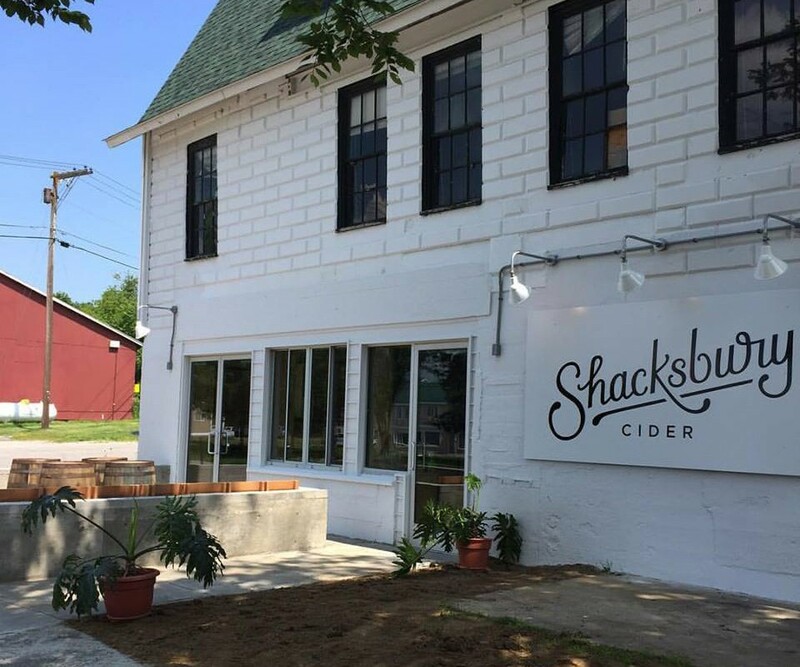 Shacksbury Cider opened its tasting room at 11 Main Street at 4 p.m. The company produces old-world-style and experimental ciders from heirloom and foraged apples collected throughout the Champlain Valley. The spartan but comfortable space is located at the north end of the former Kennedy Brothers building, which Shacksbury uses to house many of its small-batch operations. "This space is intended as our experimental cidery," Shacksbury cofounder Colin Davis told Seven Days, explaining that the bulk of the company's major releases are produced at a larger facility in Shoreham. The Vergennes quarters house Shacksbury's barrel-aging and wild-yeast-propagation programs, Davis said. The cidery produces many of its small-batch, wild-fermented ciders there, as well. Prior to the tasting room opening, most of the specialty ciders made in Vergennes went to members of Shacksbury's cider club, or were reserved for special tasting events or distribution to a handful of retailers on a case-by-case basis. Now, drinkers can get their hands on those rare ferments — and on cans and bottles of Shacksbury's semi-dry, dry and Arlo ciders, which are available in wider release — in the tasting room. Rotating sips on draft will be available for patrons to sample in full and half pours, and in tasting portions, along with "light snacks," Davis said. The cidermaker said he hoped to add more food-forward events, such as food-truck nights, after a grand opening celebration in early October. Shacksbury's tasting room is open Thursday through Saturday evenings.